Adam and Eve: Took me a while to figure out what this was about. 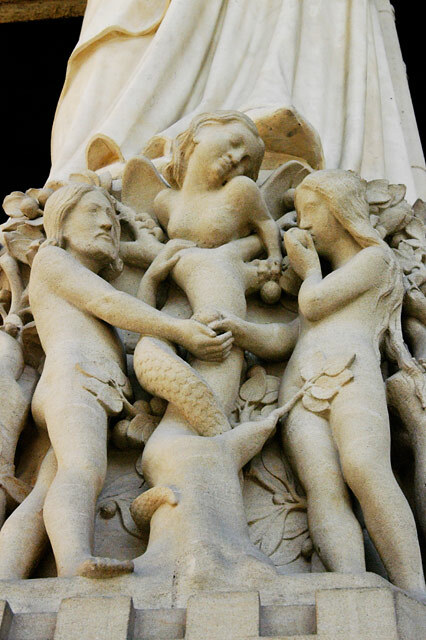 Taken at the Cathedral of Notre Dame, Paris, France. Snapped on: Sept. 14, 2004.